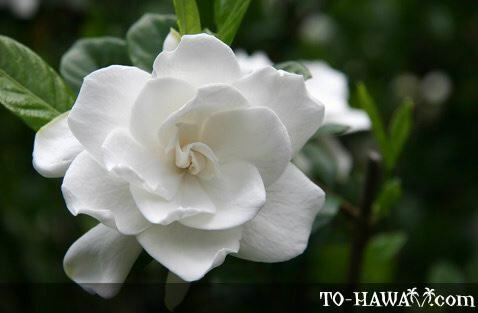 The gardenia are a favorite lei plant in Hawaii because of the sweet scent they emit. The plant, which is native to China, thrives in Hawaii. The shrub can reach a height of 6 feet (1.8 m). 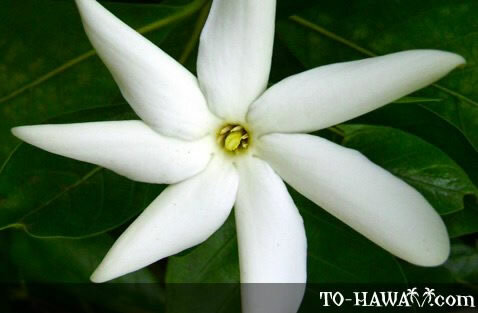 The gardenia taitensis (a similar shrub from Tahiti called tiare) has a similar fragrant flower but with five or more petals that grow into a pinwheel.